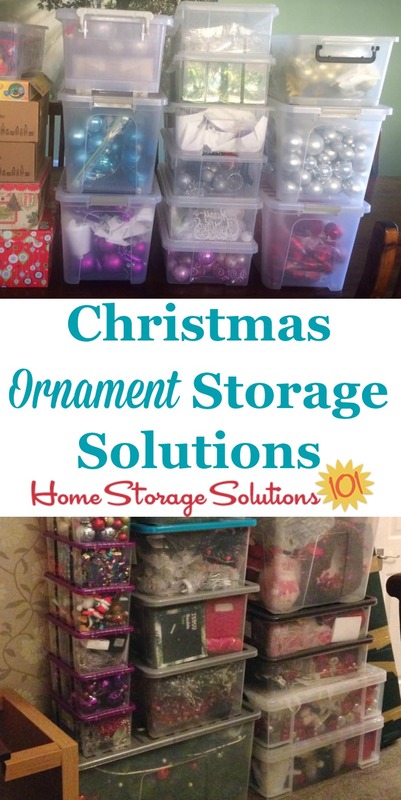 These Christmas ornament storage solutions will keep your precious ornaments safe and secure, with less risk of breakage or damage, while also keeping them easily accessible for use year after year. 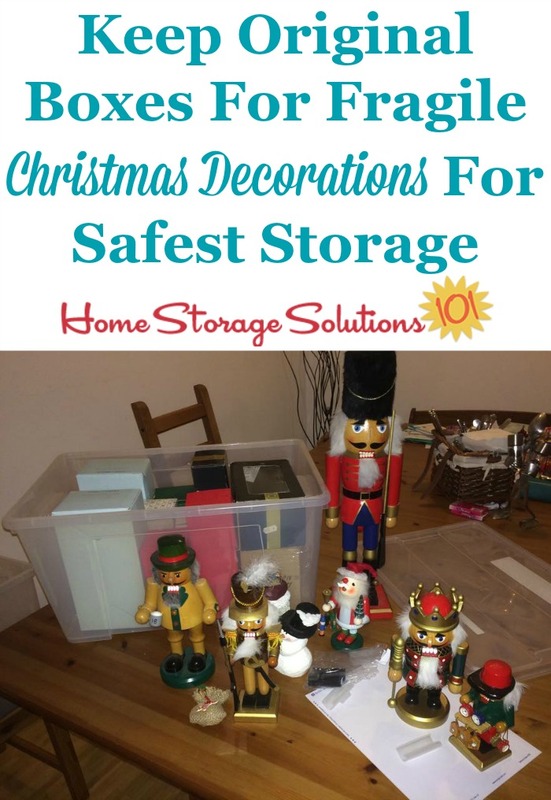 It is best to pack your ornaments in special boxes or containers made especially for them, since they are typically fragile and can break easily while in storage. 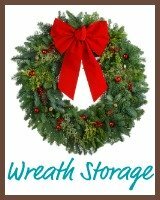 The easiest ornaments to store are generally the uniform ones, because each one is the same size and shape. This means the boxes you choose for them (or that they came in) can hold them easily and they are less likely to get broken. 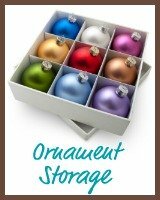 When choosing a storage box for uniformly sized ornaments you just need to make sure that the box has spaces which are neither too big or too small for your ornaments. Obviously, if the spaces are too small they won't fit, and if they are too big you need to take extra precautions to keep them from rattling around and breaking with extra padding, etc. Use organizer boxes with dividers, if the ornaments are fragile, and may break if they keep smacking together while in storage. Here's an example sent in by a reader, Kahla. She said, "I bought two more plastic ornament organizers to replace a flimsy cardboard box. 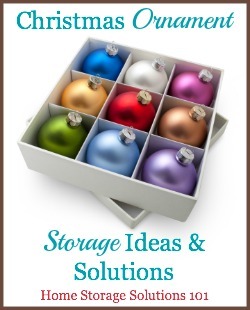 Putting fragile ornaments away and storing them is so easy now!!" 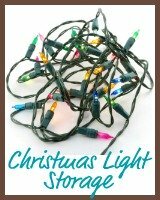 What makes storing Christmas ornaments difficult, however, is that hardly any of us only have uniformly sized ornaments. Instead, we like unique and unusually shaped ones that each tell their own story, or commemorate a special event in our family's lives. That aspect of ornaments, which makes them special, also makes it harder to find items that will safely store them all. 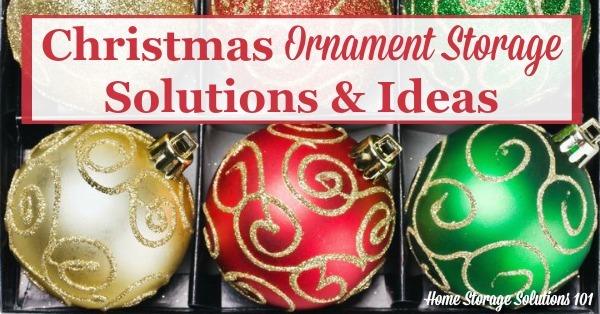 The best way to keep your unusually shaped ornaments safe is to repackage them each year back into their original packaging which is typically molded specifically to fit the ornament. 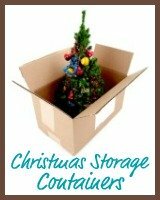 Keep a special Christmas storage container just for these original boxes, and cushion them from too much jostling while in storage. That's exactly what a reader, Adamilka, did with her nutcrackers. You can see the original boxes in the background, to keep them from breaking during storage. 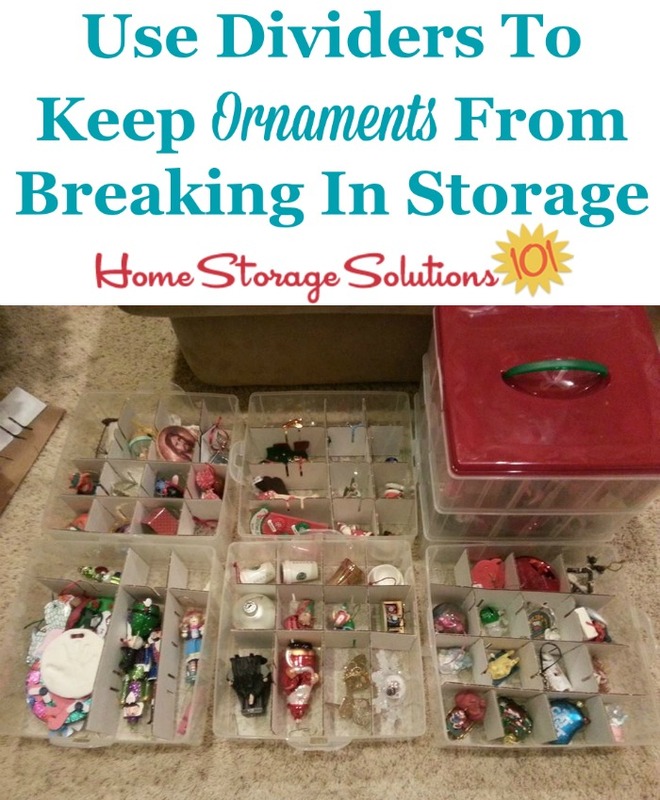 However, if you lose or have thrown away the original packaging you can still safely store your Christmas ornaments, but it takes a bit more work. To store fragile and heirloom ornaments which no longer have their original packaging, and also those precious masterpieces from our children and other little ones in our lives, it is best to use Christmas ornament storage boxes with dividers (like those shown above). You should also take precautions of wrapping individual ornaments with tissue paper as needed to cushion them within the divided slots. Note: Make sure to use colorless tissue paper, and not newspaper, to wrap your ornaments because the dye in the tissue paper or the ink in the newspaper can rub off onto the ornaments, especially in hot storage areas, and ruin the Christmas ornaments. 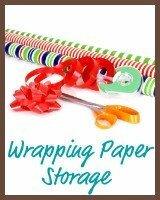 Finally, most of this article has been focused on expensive, hard-to-replace types of ornaments, which is the kind you want to take the most care in storing. However, we all have seen some ornaments that are a dime a dozen, and if one breaks it's easily replaceable with another one. Sometimes it's easier, in these situations, to take less care in storing them. 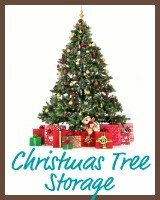 Not that you want them to break, but it isn't necessarily worth your time to carefully package each one individually when putting them away, or having to unpack them carefully when decorating your tree. Here's some examples of how readers have stored these types of ornaments in their home, in such situations. The top of these photos was sent in by a reader, Sladana, who said, "I use see-through containers so I can see what's in them. Each year I use different colour combination so this helps. This year I repurposed few gift boxes for decorations and I know exactly what's in them even without the label." The bottom of these photos was sent in by another reader, Claire.